Cream the marijuana butter, white sugar, and brown sugar together until it´s smooth. Beat in the eggs one at a time and then stir in the vanilla. Dissolve baking soda in hot water. Add to batter along with the salt. Stir in the flour, chocolate chips, and walnuts. Drop by large spoonful’s onto ungreased pans. 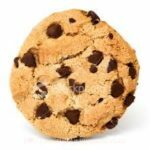 You should have around 50 marijuana cookies. Serve them with tea or coffee to your guests. It's actually a cool and useful piece of information. I am satisfied that you just shared this useful info with us. Please stay us informed like this. Thank you for sharing.